Photographers love reflections. They create depth and engage symmetry and make for wonderful opportunities to showcase a sense of serenity. Photographers love rainy evenings, because they maximize the availability of reflections with illuminated subjects that enhance the shot. More puddles means more scenes to reflect, and this makes for wonderful scenes like this one below! 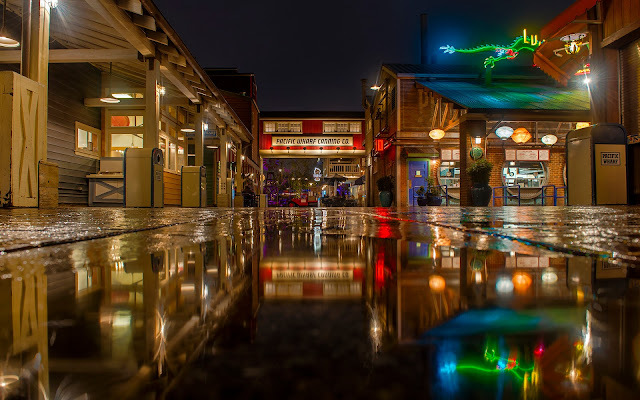 Rainy puddles and Pacific Wharf neon form a luminous sight!